Niall Gilmartin is a Govt of Ireland IRC Post-Doctoral Fellow at the Department of Sociology, University of Dublin, Trinity College, Ireland. Niall Gilmartin is a Govt of Ireland IRC Post-Doctoral Fellow and lecturer at the Dept of Sociology, University of Dublin, Trinity College. His current research examines refugees and forced displacement during Northern Ireland's recent conflict, specifically focusing on the period of 1969 to 1974. He received his PhD from Maynooth University in 2015. 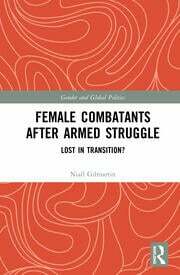 His doctoral research explored the post-conflict perspectives of female combatants within the IRA over the course of the last 20 years of the Irish peace process.